100% vegetable artisan soap with organic hemp oil with mauve. 100g pack. Soothing, eudermic. For normal skin. Made in Italy. 100% vegetable artisan soap with organic hemp oil with mauve. Soothing, eudermic. For normal skin. Active ingredients extracted from herbs of organic cultivation. It does not contain allergens. sodium cocoate, potassium cocoate, aqua, glycerin, parfum, cannabis sativa seed oil, malva silvestris flower, C.I. 19140, C.I. 74180. N.b. as indicated by BioDictionary, the last two ingredients are not considered harmful as they are present to a lesser extent (ie listed at the end of the INCI list). 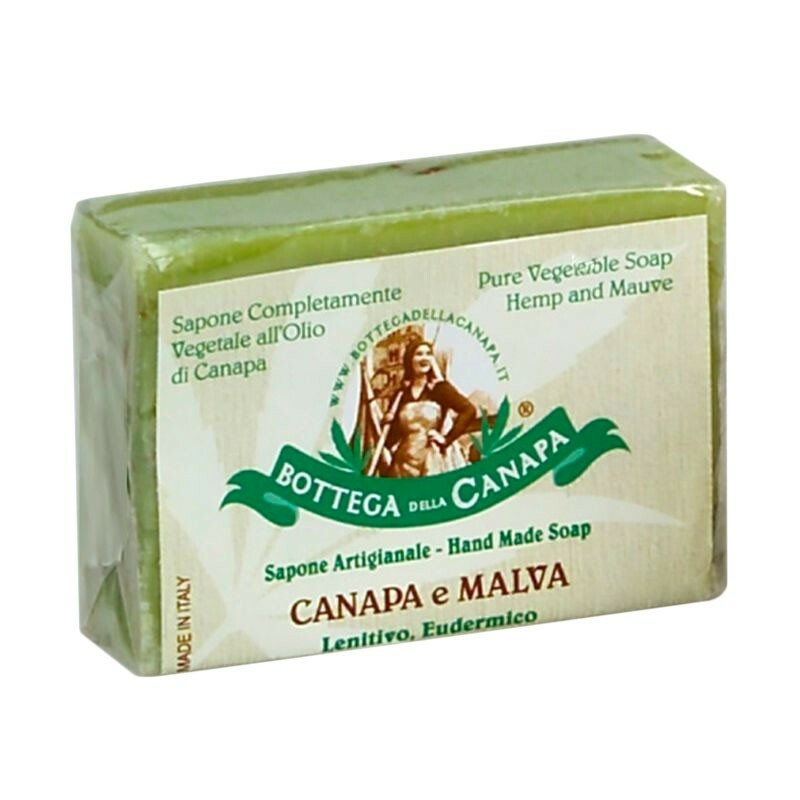 The vegetable soaps of BOTTEGA DELLA CANAPA® are made according to the ancient tradition of handcrafted soap, with the classic method of cold dough, which allows to maintain unaltered the active ingredients of the vegetable substances used. The base of the soap formula consists exclusively of 100% pure natural coconut oil: during the saponification process, glycerine, which is very important for the emollient and hydration of a good soap, naturally forms: thanks to it, the mantle hydro-lipid reforms faster.